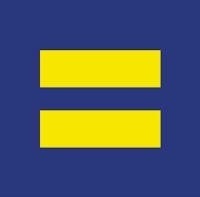 I’ve been meditating on the issue of equality for the past couple of days; what exactly it means to us as human beings, and how we go about living that in our daily lives. The following are two definitions of equality according to Merriam Webster. 1 a (1) : of the same measure, quantity, amount, or number as another (2) : identical in mathematical value or logical denotation : equivalent. 2 : regarding or affecting all objects in the same way : impartial. In analyzing the differences between these two definitions, it is my personal opinion that the problem is rooted in how many of us perceive equality in today’s world. Most of us measure ourselves, in comparison to others, in a manner of whether or not we are equivalent, or greater than equivalent, to them. Do you have the same fame or acclaim as a peer or counterpart in your chosen career? If not, you work toward evening the playing field, and hopefully surpassing them. Since we so ruthlessly judge ourselves in this fashion … we also tend to judge others that way as well. Who is greater and who is less than? Who is popular and who is unpopular? Who is wealthy and who has no money? Who is dominant and who is passive? All too frequently we base our life decisions on these perceptions : who is the best friend to seek out for what we want personally, who is best suited to elevate us at work, or in a relationship – who is the one who gives the most to the relationship? In some facets this helps us succeed (career) and in others is our greatest downfall (relationships). The primary problem, on a spiritual level, is that when we view each other through the filter of equivalency it leads us to judgement. Judging others, or harshly judging yourself, causes your heart to close. When your heart is closed you are no longer connected to God. This might not sound so bad on a case-by-case basis … the real issue lies in the fact that, for many of us, this is how we live every day of our lives. That means we are closed and disconnected from God virtually ALL the time. The times when you let go of this pervasive mindset of judgement (toward self and others) feel wonderful … like a spiritual high you experience once or twice a week. That is how you are supposed to be every day, all day … open-heartedly connected to God. The true meaning of equality, in terms of how we as humans interact and live our lives, is revealed in the second Merriam Webster definition … synonymous with the word “impartial”. When there is no “greater than” or “less than”, we all have meaning and importance in the world. We each have something important to give to the world; something special that nobody else can duplicate. That is priceless. Each one of us is unique and perfect as our True Selves … we just have to let go of the equivalency exams we feel that we either must personally pass, or unjustly impose on someone else. re-bloggged via Equality: How We Get It All Wrong. 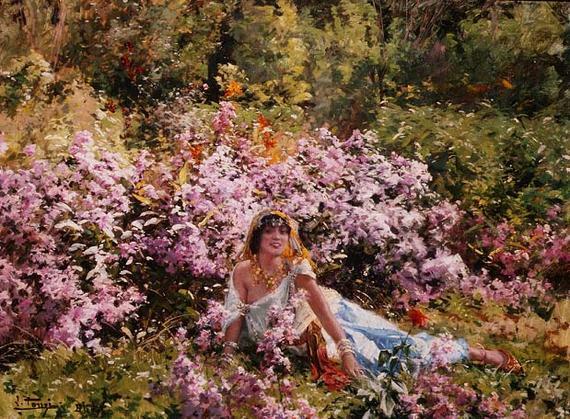 “Algerian Beauty in a Lilac Field” is a painting by Leon Louis Tanzi. via The most important thing is – to bloom.